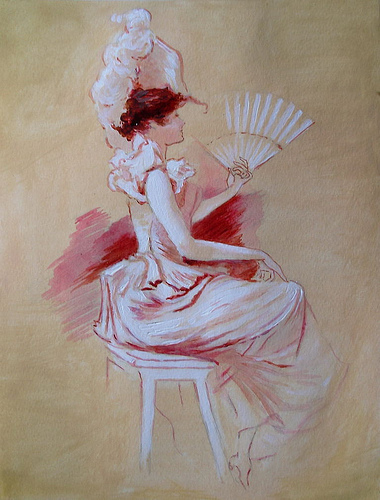 This is an acrylic study piece, Lady With Fan, after Jules Cheret. I love Cheret's posterized style and chose this particular one for it's elegance and simplicity. I hope to do more Cheret studies in the near future! 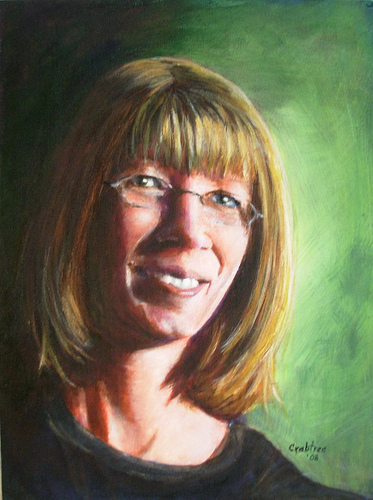 For this painting, I used 140 lb. cold press watercolor paper. 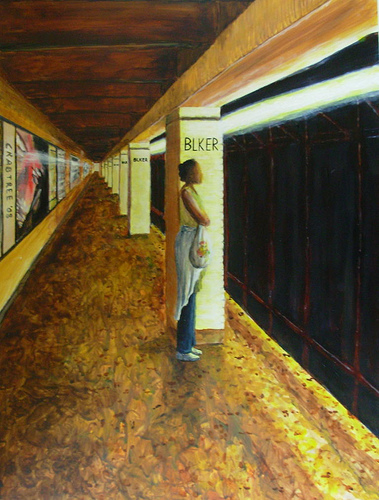 This painting was based on a photo of the interior of the Bleecker Subway Station (Chicago, Ill). My goal was to create an atmosphere of solitude, quiet reflection...and waiting. Completed for a Wet Canvas challenge January 2008. This started out as a pen and ink but I decided to add color. The most challenging areas were the face and hands. 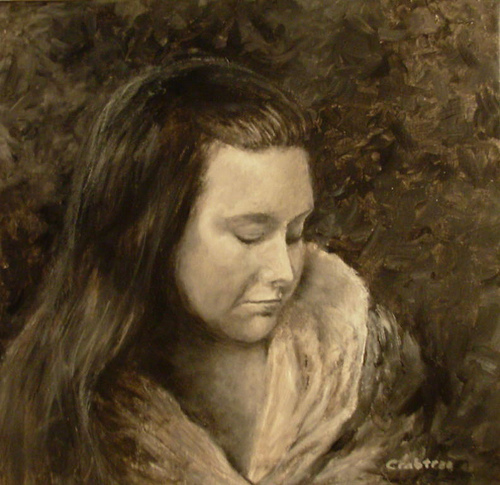 A portrait of a friend's daughter, given as a Christmas gift. 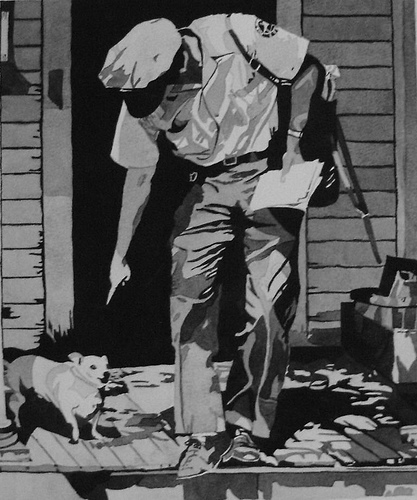 This painting was created using just two colors: Bone black and titanium white. The bone black is one of Golden's OPEN paints which allowed a bit of extended blending time. This is one the few pieces of art that I created in the 90s that I still have. 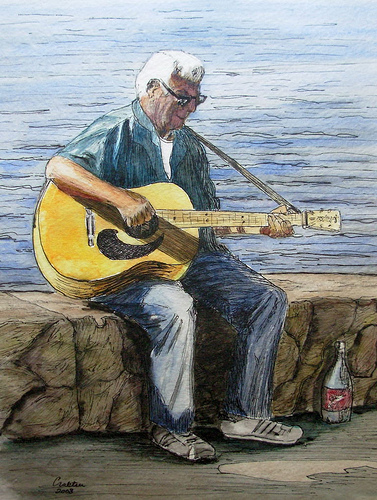 Rendered using a watercolor wash, the reference was from an old National Geographic magazine.